In his 2005 landmark Social Justice Report, Social Justice Commissioner Tom Calma called for a generational campaign to address the appalling gap in health between First Peoples and other Australians, that sees a baby born to an Aboriginal mother twice as likely to die before the age of four, and elders lives cut short by more than 10 years compared to non-Indigenous Australians. We’re just two years off the halfway mark of the nationally agreed target of closing the health equality gap by 2030, yet the Federal Government is taking us backwards. Only three of seven targets is considered on track, and Aboriginal and Torres Strait Islander child mortality is slipping backwards. That’s why we were in Canberra last week joining our Aboriginal and Torres Strait Islander partners in calling for a reset of the close the gap approach. 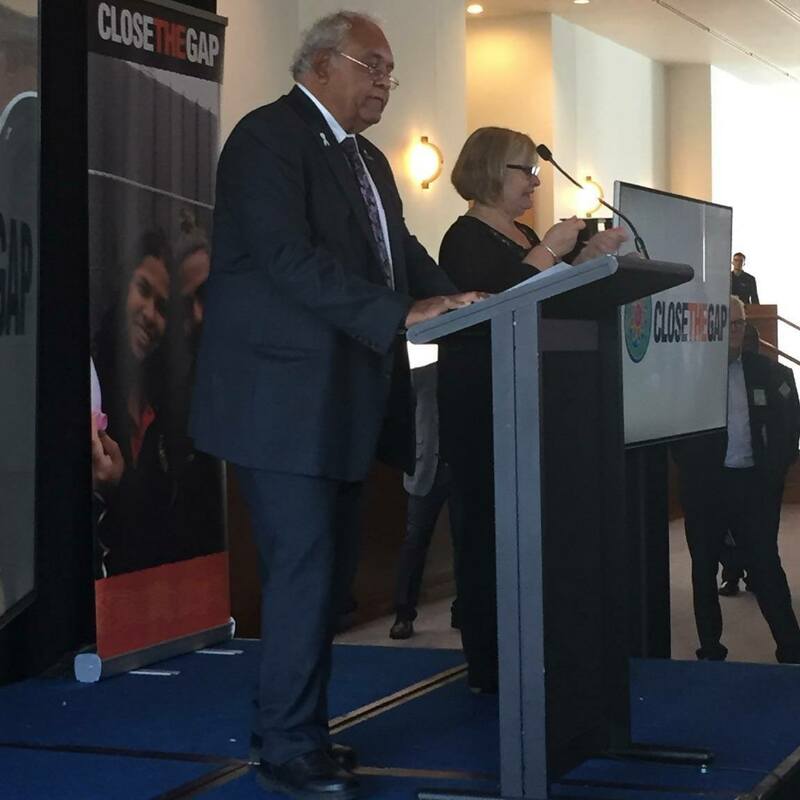 Close the Gap 10 Year Review Launch: Left, Tom Calma Former Aboriginal and Torres Strait Islander Social Justice Commissioner speaking. 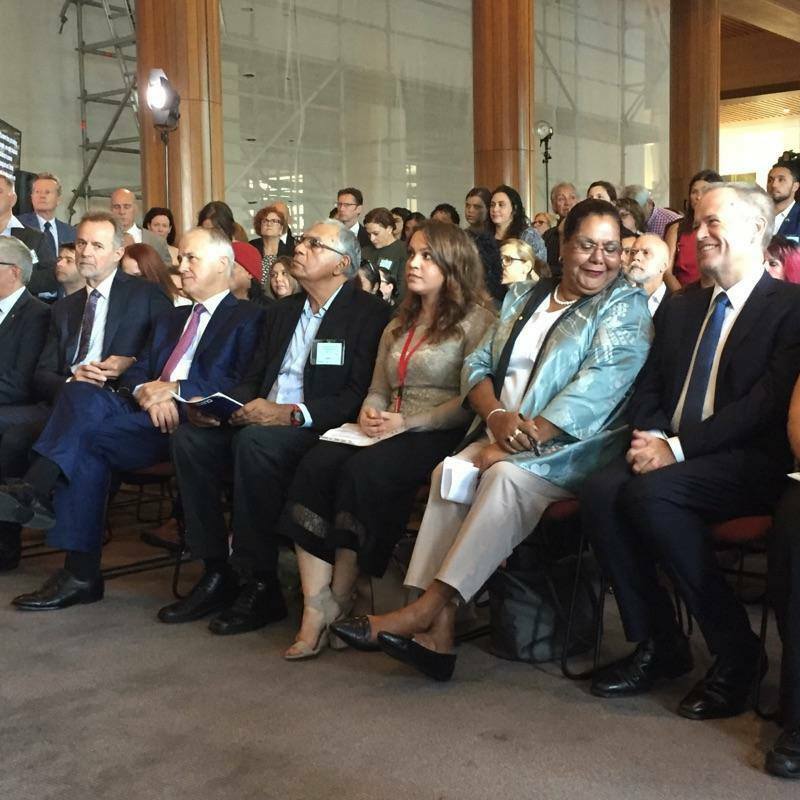 Right, The Prime Minister and Opposition Leader listening with June Oscar Aboriginal and Torres Strait Islander Social Justice Commissioner and others. We told the PM that he had effectively abandoned the closing the gap strategy with funding cuts of $530m in 2014, discontinued National Partnership Agreements, and unfunded plans. As the Prime Minister sits down at COAG, we have made our calls loud and clear that government must work with First Peoples to rebuild the closing the gap approach they have walked away from. We as a nation must stop First People dying before their time. You can help today by writing to the Indigenous Affairs Minister and the Indigenous Health Minister and calling for them to accept the recommendations of the Close the Gap Campaigns 10 Year Review launched this morning. Beyond meeting with COAG, the PM is preparing to deliver his annual Closing the Gap Report on Monday. As we have likely entered a Federal Election year, we are at a critical juncture for First Peoples. Will the nation let another 10 years go by with little or no progress due to government recalcitrance or will it step up to the plate? It must be the latter, and we need your help to make sure it is. With the government embarking on a Closing the Gap Strategy ‘refresh’, we must ensure that it co-designs approaches to close the gap with Aboriginal and Torres Strait Islander people. It has failed to do so to date, but now is the time to get it right to avoid the PM reporting on failure to close the gap each year until 2030. 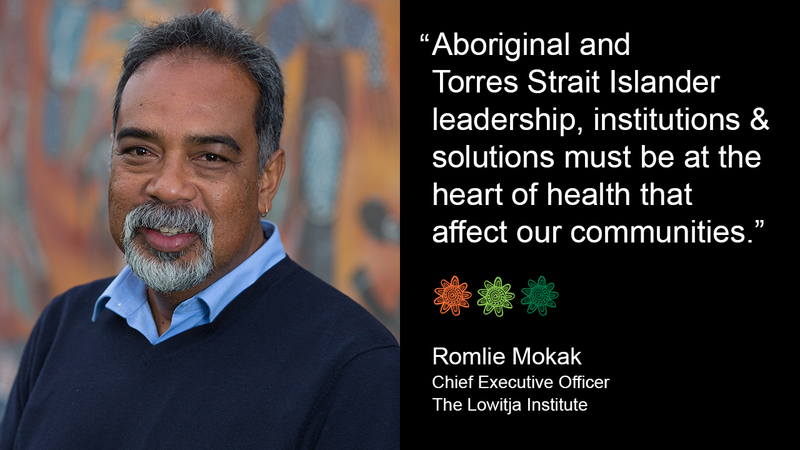 Resetting the Close the Gap strategy must put Aboriginal and Torres Strait Islander expertise front and centre. We need your help to maximise the pressure on government to ensure that it follows through on its commitment to the national priority of closing the gap between First Peoples and non-Indigenous Australians. Please send the Minister of Indigenous Affairs, Nigel Scullion and the Indigenous Health Minister, Ken Wyatt a letter expressing your concern. We must turn Closing the Gap around in 2018, before it’s too late.